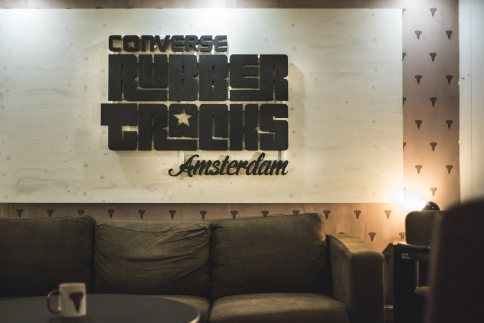 Converse announces the third installment of the Converse Rubber Tracks pop-up studio in Amsterdam at the Amsterdam Recording Company from October 7 until October 18, 2015. Musicians of all genres in the Amsterdam area were invited to apply for free studio time to record their original music alongside a team of experienced engineers at no cost. At the end of their studio time, the artists retain all the rights to their own music. Local artists selected to record at Amsterdam Recording Company include Max Mill, Robert Bergman, Elias Mazian, Victim in Spain, Moon Tapes, Ray Fuego, Yung Internet, Interstellar Funk, Bluntspeakers, and Dollkraut.